Vegan cafe in the heart of downtown Cleveland. Soups, salads, sandwiches, burgers, breakfast, desserts, coffee, smoothies, more. Editor's note: it looks like this restaurant is 100% vegan! And the photos look amazingly yummy. If you've dined here, we'd love to see your photos. Thanks for sharing with the Yummy Plants community, Adam! 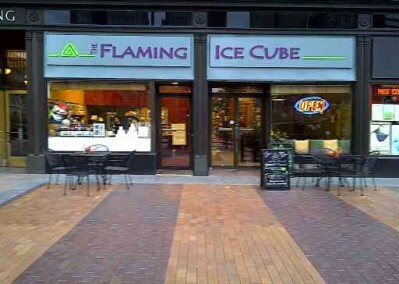 Let us know what you think about this awesome vegan friendly restaurant: The Flaming Ice Cube in Cleveland, Ohio.